Modding tools and custom maps are only available in the Steam version. 10.2 In-game graphics won't show up on AMD drivers on Gentoo/Fedora/OpenSUSE etc. Cannot play with Steam users. Online multiplayer requires GOG Galaxy client with account login. All OS X and Linux versions require Steam DRM. The demo has been hidden on Steam but can still be installed by accessing the Steam URL steam://install/381570 in a browser. Initially a pre-order bonus, now integrated into the base game. Pre-order bonus, now part of the "Ultimate Survivor Bundle". Not available individually, only as part of the Season Pass/Enhanced Edition. HUD does not scale past 16:9. Cutscenes are windowboxed. Up to 72° vertical (102° horizontal on a 16:9 monitor). See Field of view (FOV) for more. Alt-tabbing to other applications will temporarily enable Windowed mode. 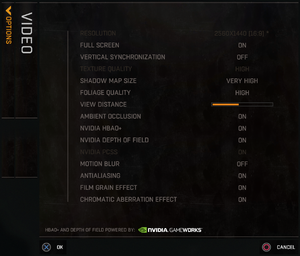 Use Borderless Windowed Mode for Dying Light. Can be forced through video driver. On and off. Uses a post-process technique. Modify the value for ExtraGameFov. 20 equates to 72° vertical (102° horizontal on a 16:9 monitor) FOV. Open varlist_performance.scr with a text editor. Search for VarInt and change the following to ("i_shadows_sun_on", 0). Copy the modified varlist_performance.scr to Data3.pak/data/scripts (ie. maintaining the subfolder structure). Remove any extracted Data0.pak files (Do not remove the Data0.pak file itself). Find and open varlist_performance.scr with a text editor. The key "*/μ" can not be remapped. Implemented with a software cursor, which is susceptible to framerate changes and will feel different from the normal OS/hardware cursor. XInput and DualShock 4. DirectInput controllers are ignored. 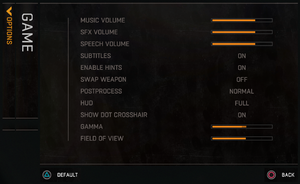 Limited to four presets with shoulder/stick swapping. Windows only. Any third party controller solutions have to be disabled. Some background conversations between NPCs are not subtitled. No ability to disable it. Steam version supports cross-platform multiplayer (Windows, OS X, Linux). GOG.com and Steam players cannot play together. Option for LAN play available in Online menu. 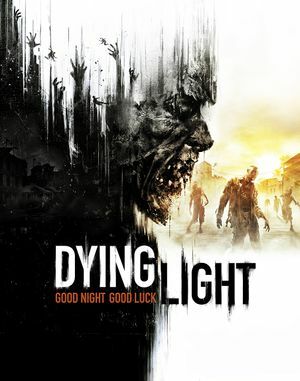 Use Helix Mod: Dying Light. See Oculus Rift and then use Revive Compatibility Layer. Add OculusEnabled() at the end of the file and save it. The game will crash when using a Drop Attack ability on native Linux version, no fix has been made to this day. The only option to play the game without any issues is to run the Windows version through Proton. Use the specific OpenGL library for Mesa. Download and unpack the library file into the main game folder and launch the game. In case it won't work, use it with the mentioned launch option from the guide above. In-game graphics won't show up on AMD drivers on Gentoo/Fedora/OpenSUSE etc. NOTE: If you are using ArchLinux or an ArchLinux based distribution, you must use Linux Steam Integration, it can be found in AUR for faster and easier installation. Allows more robust performance tweaking. Was designed for an older build of the game but still compatible with the latest; be sure to click cancel when it tells you an update is available. Only AMD Radeon graphics cards are officially supported. JFS and XFS file systems are not supported. 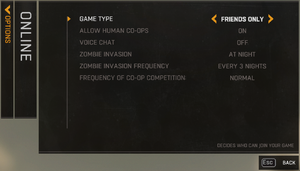 "Multiplayer available only between GOG.com users"
This page was last edited on 20 April 2019, at 02:55.